Bedrails for the elderly are handy safety devices used to prevent accidents in the bedroom. Whether easing into bed is difficult, or falling out is a danger, bedrails may help keep you or a loved one safe and comfortable at night. A Single Rail: Choose a slender rail, comprised of a simple handle for convenience. These rails are generally used for individuals who have trouble maneuvering into bed. Mobility may be difficult for disabled individuals or those who have an oversized bed. Single rails are less cumbersome but should not be used by those who have fallen out of bed. Full Length bed Rails: Full-length bed rails span one side of the bed. They typically swing up and down to allow entrance into the bed, but snap snugly in place for safety. They are effective for those who have had accidents in the past and fear falling out of bed. Space between the rails: wide rails can pose hazards to small individuals. Some elderly individuals have become trapped in the spaces between the bars, specifically those in nursing homes or healthcare settings. In addition, individuals who flail their arms or legs while sleeping may be at greater risk for entrapment. Consider using other equipment, such as bedrail covers or support pillows in addition to these rails. Mesh Side Rail Protectors, useful for those who fear entrapment. These fabric covers slide over the mechanical poles, making bedrails soft and free of gaps and spaces, which may pose safety risks. Soft Rails: an alternative to traditional bed rails, which are constructed of heavy duty materials like aluminum or plastic, these soft sides resemble wedges, designed to keep elderly snug in bed. 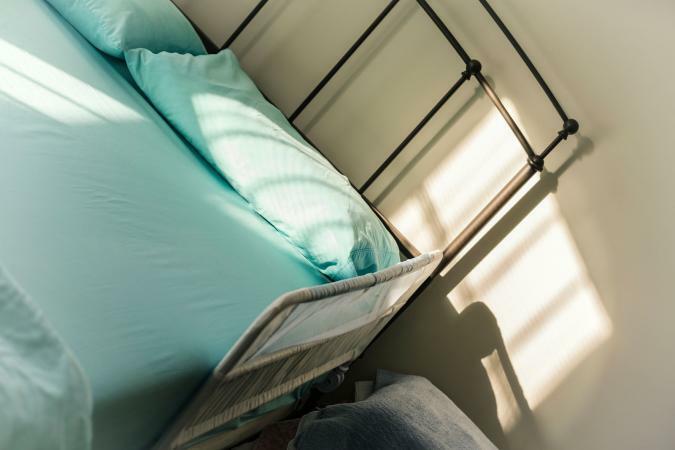 These rails may be more suitable for those who require less room in bed, as they fit inside the bed, taking up more space than the conventional bedrails. Positioning Pillows:Full support pillows are helpful for nestling in bed or positioning in chairs. These pillows may work well for light sleepers or those needing support, but are not as effective at securing elderly individuals with falling risks. Convenient Caddy Rail This rail offers added storage, making it easy for elderly indiviudals to spend time in bed. The handy pockets keep bedside belongings, such as eyeglasses, books and pen and paper within reach, reducing the risks of accidents from bedning or reaching for objects. Bedrails for the elderly are simple tools to keep your loved ones tucked safely in bed.